Glytone Night Renewal Cream Review (2018): Does It Really Work? What is Glytone Night Renewal Cream? Glytone is the brand that claims to have discovered glycolic acid’s beneficial effects on enhancing the health and appearance of aging skin. In 1992, the brand was officially launched, later to be acquired by the Pierre Fabre Group in 2002. Today, the brand has gained following for its anti-acne and anti-aging products, and has since branched out to include hair care products as well. 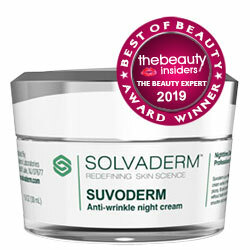 Glytone Night Renewal Cream Resurfacing Peel, US $76 for 50 ml, is an anti-aging cream that works doubly hard while you sleep to restore your skin’s youthful appearance and enhance your skin’s overall health to revive your younger-looking appearance. 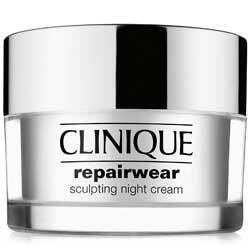 Glytone Night Renewal Cream- Does it really work? Repair your skin of damages incurred all-day while you take your nightly beauty rest. Support skin renewal and regeneration using glycolic acid. This product revives your skin’s youthfulness and healthy glow by reinvigorating your skin as it facilitates faster skin regeneration and turnover that surfaces lesser damaged and softer skin with every cycle. What are the ingredients in Glytone Night Renewal Cream? Glycolic Acid: Botanically derived, this ingredient, an alpha hydroxy acid, has been established as one of the mildest and gentlest chemical peels available for renewing your skin. Retinaldehyde (0.05%): Vitamin A derived, this gives the formula the power to correct fine lines, wrinkles, age spots, and other signs of aging skin by stimulating faster skin renewals and better skin synthesis, mechanisms which result to enhanced elasticity, density, volume, and fairness of your skin. Mineral Oil: Gives your skin surface a comfortable, well-conditioned feel while also seeping deep into your skin, causing it to fill in cracks that plump up your skin. Glycerin: May help skin retain moisture while reducing inflammation but also can cause skin irritation to sensitive skin. This product’s formula has an overall pH of 5.5, the ideal state of a skin care formula that helps make beneficial ingredients penetrate your skin faster and more deeply. The primary ingredient in the formulation is glycolic acid which gives your skin a mild and gentle regular exfoliation which can lift your skin’s damaged top layer while also facilitating the formation and surfacing of new skin. Retinol has been shown to cause skin irritations and, with long-term use, cause skin to become more prone to UV damage. This product contains the endocrine-disrupting chemicals, BHT and parabens, that can cause abnormalities in your otherwise normal estrogen levels and the mechanisms it drives, and also includes the neurotoxic, phenoxyethanol. This product contains mineral oil which can block your pores and, in turn, attract acne-causing bacteria to grow, proliferate, and cause blemishes to appear. 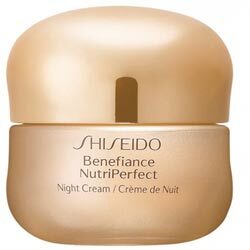 Does Glytone Night Renewal Cream have any Side Effects? This product is likely to cause mild to severe cases of skin irritations depending on your sensitivity and history of allergic reactions to one or several product components. Glycolic acid and retinaldehyde can cause your skin to become more sensitive to UV-induced damaged. 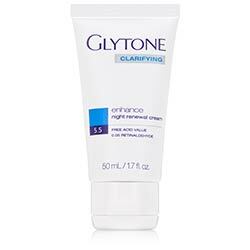 Glytone Night Renewal Cream must be applied on face, neck, and chest only after cleansing and toning. Use upward strokes with occasional gentle massaging and tapping to pack the product in and blend well with your skin. Glytone Night Renewal Cream is a relatively simple product with simple goals, and this one has got its combination right, down to the pH 5.5 formulation. Still, it remains relatively pricey for the rather easy-to-derive benefits that this product provides.